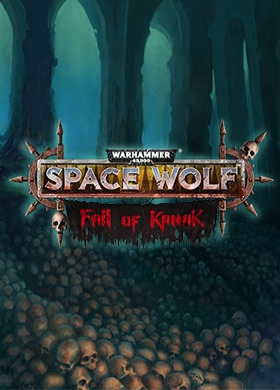 NOTICE: Requires the base game Warhammer 40,000: Space Wolf in order to play. Activation key must be used on a valid Steam account. Requires internet connection. About the gameWhen the frontline squads of the Word Bearers legion landed on Kanak and proceeded to capture the planet’s key installations, they encountered fierce resistance in the form of Kanak Skull Takers loyal to the Imperium.… But alas, in spite of the defenders’ inhuman heroism and tenacity, their resistance amounted to nothing but a brief hindrance for the advance of the forces of Chaos.This DLC allows you to witness the events of those long gone days from an unusual perspective.Play a new game mode where you experience firsthand the events that preceded the main story.Discover a new PvE arena featuring a unique deck construction mechanic and drastically different opponents!Take control of a new character, a Khorne Berzerker, and learn the truth about the fall of Kanak’s last Imperial Guard garrison!Drench the soil with the blood of your enemies as you conquer Kanak! Key Features Play as the forces of Chaos. New character – Pollux the Flayer, Champion of Khorne. New PvE arena – Imperial Guard Garrison. New enemies – Kanak Skull Takers. New set of cards for the main game. New achievements. System Requirements Windows - Minimum OS: Windows 7 Processor: 2.4 GHz Dual Core Memory: 2 GB RAM Graphics: Hardware Accelerated Graphics Network: Broadband internet connection DirectX: Version 11 Storage: 3 GB available space Additional Notes: DirectX 11 compatible GPU is required to play the game! Attempts on launching the game on systems which do not meet minimum requirements will cause crashes! Integrated GPUs may cause significant FPS drops! The game is not fully compatible with legacy AMD Radeon HD Video Cards which don't support DirectX 12! Windows - Recommanded OS: Windows 7 Processor: 2.4 GHz Dual Core Memory: 4 GB RAM Graphics: 1 GB Video Card Network: Broadband internet connection DirectX: Version 11 Storage: 3 GB available space Additional Notes: DirectX 11 compatible GPU is required to play the game! Attempts on launching the game on systems which do not meet minimum requirements will cause crashes! Integrated GPUs may cause significant FPS drops! The game is not fully compatible with legacy AMD Radeon HD Video Cards which don't support DirectX 12! Warhammer 40,000: Space Wolf © Copyright Games Workshop Limited 2018. Space Wolf, Space Wolves, the Space Wolf logo, GW, Games Workshop, Space Marine, 40K, Warhammer, Warhammer 40,000, 40,000, the ‘Aquila’ Double-headed Eagle logo, and all associated logos, illustrations, images, names, creatures, races, vehicles, locations, weapons, characters, and the distinctive likeness thereof, are either ® or TM, and/or © Games Workshop Limited, variably registered around the world, and used under license. All rights reserved to their respective owners.